Until Costa Rica, Marilyn Orellana had not allowed herself to relax—not fully—for years. Four years ago, when she was 13, Marilyn’s father was diagnosed with a rare form of cancer. The only clinic able to treat him was in the Washington, DC, area, and so he traveled there from the family’s Chicago home for what would turn out to be 10 months of intensive therapy. Medications left him incapacitated, forcing Marilyn’s mother to accompany him and leaving Marilyn and her two sisters—one older, one younger—to fend for themselves. Marilyn’s older sister, then a freshman in college, dropped out of school in order to take care of the family. She took a job in retail, working long hours. Marilyn shouldered many of the household chores and began walking to school by herself. Despite her sister’s new job, the family was forced to move to move to a smaller home. They accrued medical debt. “At the age of thirteen, when they tell you that your dad only has three to five months to live, it’s kind of hard because you’re forced to become mature, forced to be independent,” Marilyn said. There were bright spots throughout the ordeal. When visiting her father on the East Coast, one doctor, an oncologist, took a liking to Marlyn and gave her glimpses of the team’s “behind the scenes” work on behalf of her father. During particularly hard moments, like when her dad vomited from the nausea of his treatments, Marilyn turned to music. She channeled her feelings through mariachi or orchestral arrangements, each note requiring total focus and commitment. At last, her dad was declared cancer-free. They shared a father-daughter dance at Marilyn’s sixteenth birthday. Yet, with her father nearly two years into remission, Marilyn found that she had not fully recovered. She had not allowed herself to untangle the thick knot of stoicism and wariness that had seen her through most of her teenage years. 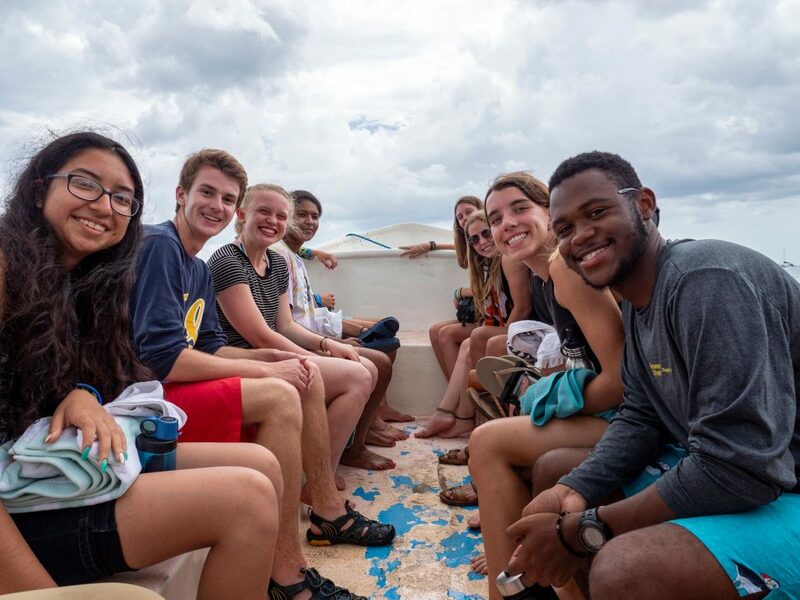 Fortunately, Marilyn was enrolled in the HighSight program, which provided mentoring, scholarship funding, and access to The Experiment in International Living, the World Learning-run high school study abroad program with a history dating back to the 1930s. In conversations with her HighSight mentor, Marilyn settled on Costa Rica as a summer destination. At first she had wanted to visit Japan—to go as far as she could and immerse herself in a culture as different from her own as possible. But her mentor steered her toward something more familiar for her first trip abroad. Marilyn’s fluent Spanish—her parents were from Ecuador, and she spoke Spanish at home—would serve her well in Costa Rica. Her mentor’s instinct proved correct, Marilyn said. After an initial few days of adjustment, she fell into a leadership role, translating for less fluent Experimenters, even assisting the two group leaders from time to time. 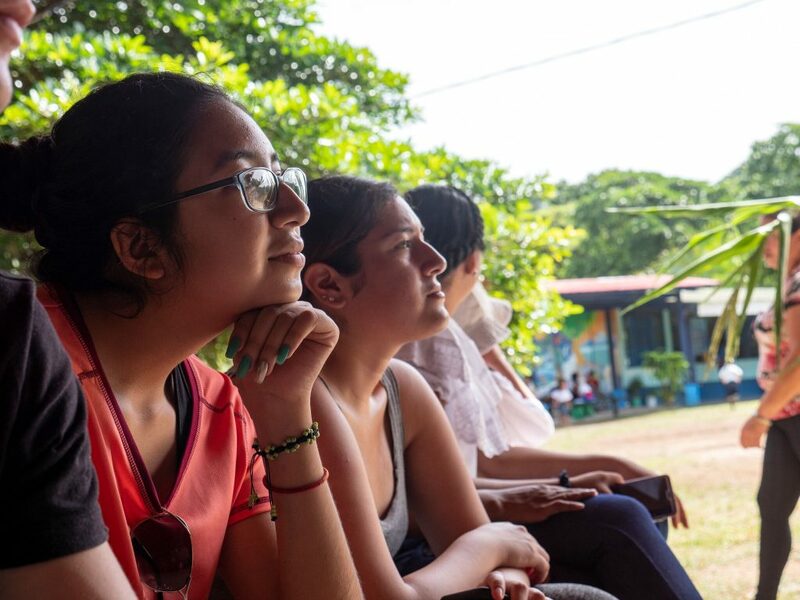 At the same time, Costa Rica satisfied her interest in animals and conservation—the program’s focus on biodiversity, ecology, and sustainability meant frequent excursions to the jungle and the coast to learn about the country’s rich flora and fauna, as well as human impacts on both. At times, Costa Rica feels overflowing with animal life, which Marilyn loves so much that she says the main thing preventing her from studying to become a vet is the need to put down terminally ill pets. Her language facility also deepened her connection with the Costa Ricans she met. While staying with a host family in the small community of La Palma, Marilyn noticed that her host mother’s brother would order his sister around in a peremptory, authoritarian manner. The host mom, a widow, would calmly obey. One day, Marilyn asked him about his role as family patriarch, and the two had a long, thoughtful conversation about the differences in gender relations between US and Costa Rican cultures. Some time into the trip, Marilyn realized that the knot of tension she had carried around since her father’s diagnosis was beginning to loosen. Amidst the slower pace of life, the friendships she was making with other Experimenters, and the small activities—bingo, hair braiding, late-night conversations—she shared with her host family, she felt something relax inside her that even her father’s hopeful prognosis had not achieved. Somehow, until Costa Rica, she had still been guarding against the next round of bad news. Now, she embraced the national motto “pura vida,” which means “pure life,” as a prescription for enjoying each moment, and especially family ties. Marilyn resolved to take Costa Rica’s lessons home to Chicago, to avoid arguments with her mother and sister, and to take new challenges in stride. Costa Rica also confirmed Marilyn’s taste for travel and adventure. She plans to travel next to Ecuador to connect with her extended family, which still lives there. After that, who knows? Maybe she will go to Egypt to see the pyramids at Giza. Maybe she’ll find her way to Japan after all. The only certainty is her desire to see more of what the world has to offer. “I’m just a bird that wants to fly,” she said.